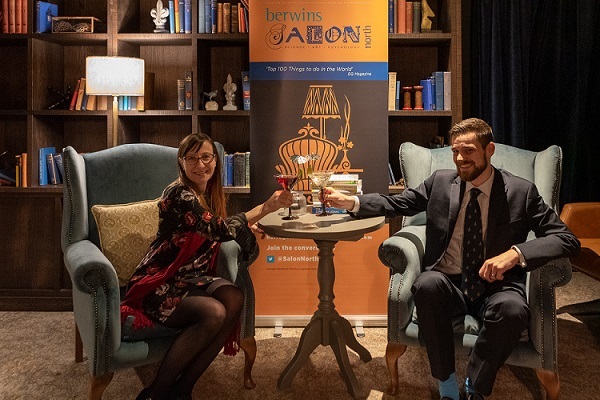 Leading Yorkshire law firm, Berwins, has announced the continuation of its title sponsorship of Berwins Salon North, one of the key strands in Harrogate International Festivals’ portfolio of literature events. Berwins, one of the top-ranked solicitor firms in Harrogate and Leeds, will enter the fifth year of sponsorship. Since its launch in Harrogate in 2012, Berwins Salon North frequently sells out its series of TED-style talks, consisting of three expert speakers who take to the stage to create a night of stimulating ideas in art, science and psychology. Dubbed ‘a revolutionary movement for the heart and mind’, Salon was voted as number six in the ‘Top 100 Things to do in the World’ by GQ magazine. Berwins and Harrogate International Festivals are long-standing organisations in the spa town. The full-service law firm’s employment, family, life, commercial, property, IP and IT teams were ranked as among the best in the North and West Yorkshire region in the industry guides Legal 500 and Chambers and Partners. Salon returns on Thursday 28 February to explore What Makes You Who You Are?, welcoming Professor Gina Rippon to delve into her new book The Gendered Brain, Dr Merve Emre to tackle the strange world of personality testing, the subject of her book What’s Your Type?, and Oren Harman to explore 15 Myths That Explain Our World. Join some of the UK’s leading minds in neuroscience, psychology, journalism and academia as they answer some bold questions.